There is nothing better than strolling up to an appetizer or dessert table at a party to find a delectable, mouth-watering platter of assorted chocolates. Not everyone enjoys a messy cupcake, oversized slice of cake or a questionable Jello mold. 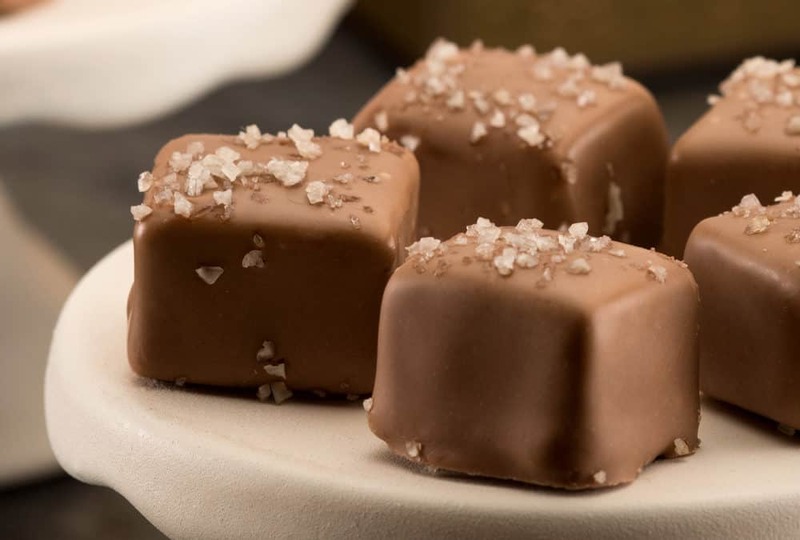 However just about EVERYONE loves to nosh on a bite-sized piece of irresistable chocolate. It’s the ideal sweet confection. When deciding on which Betsy Ann Chocolates to buy for your platter, think about your guest list. Just adults? Offer up a nice assortment. Mainly kids? Milk chocolate is almost certainly the way to their hearts. Do you want chocolates to be covered in foils (great for kids), or would you prefer the chocolates are presented without wrappers? These are all things to consider when deciding on which chocolates to buy. Think about what drinks you will be serving at the party or dessert time and what goes well with Chocolates. Wine, of course. But there are several other beverages that go nicely with Chocolate: Milk chocolates go great with Rum. Nutty chocolates go nicely with Bourbon or Scotch. Fruity chocolates give life to Mezcal. Give your drink list some consideration when choosing your chocolate platter. And don’t just think about alcohoic beverages, because coffee and various teas are nice beverages to accompany a dessert platter with chocolates, too. Presentation is important when displaying chocolates. You can use a nice 3-tier platter and place different types of chocolates on each tier: Truffles, fudge and assorted. It’s also a nice idea mix and match chocolates on a large wooden cheese board, stone or ceramic platter. Whichever you choose, the chocolates will be the star.